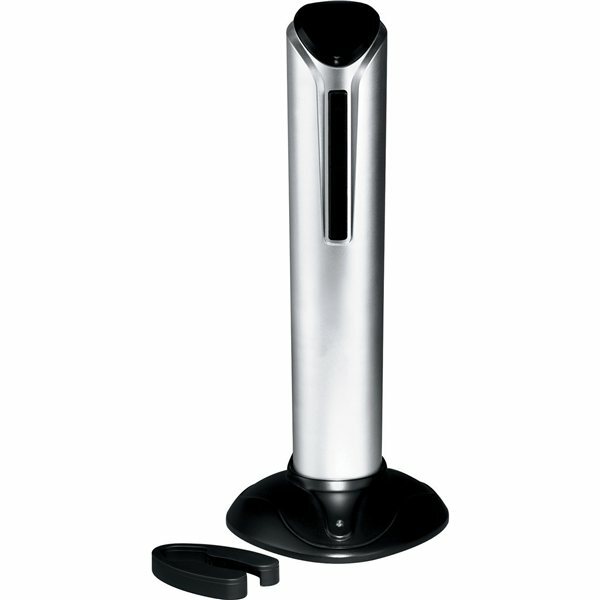 Open wine bottles effortlessly with this automatic opener. Removes natural and synthetic corks. Recharging station, AC adapter, and seal cutter included. It felt more high-end than the price reflected. The quality is very nice. It sticks out among other free gifts, writes perfectly, feels safe and inventive. High quality and also the prices to complement. Very professional sales staff. Loved it!